Al Khaleel BMT is a trusted supplier and associated with premium manufacturers for the international distribution of precision high quality Gaskets to Oil and Gas Industry. 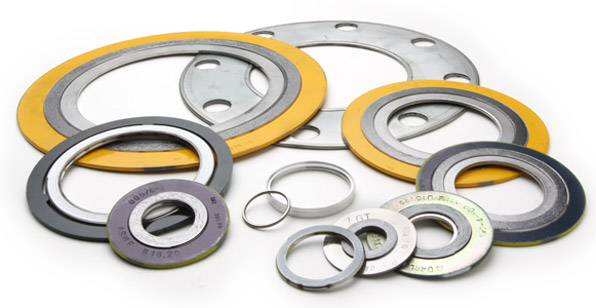 Gaskets come in different designs based on industrial usage, budget, chemical contact and physical parameters. We supply ring gaskets, full face gaskets, irregular gaskets (non- standard shape, size, number of holes etc) and custom made gaskets. These gaskets are made by winding a metal strip, typically stainless steel, and a softer filler material such as graphite or PTFE. These gaskets offer the use of lower clamping forces, but are a relatively expensive method of sealing.